While every unexpected work injury is devastating, some workplace injuries can have implications that affect the injured individual’s ability to ever be able to recover what he or she has lost. And severe workplace injuries do not only affect an injured worker – they also affect anyone who is close to him or her, especially when that worker has been refused needed care. WFLA News recently reported that a Lakeland man has reportedly not been able to receive the care he needs after being injured in a workplace explosion seventeen months ago that led to him being diagnosed with a Traumatic Brain Injury (TBI) and Post Traumatic Stress Disorder. Tragically, the insurance company has refused to pay for treatments that have been recommended by the injured man’s workers’ compensation doctor. This is an unfortunate example of why it is so important to understand the rights you have to medical care after a workplace injury, and of why it is so important to obtain an experienced workers’ compensation attorney. This is also an example of how serious the implications of a TBI can be. 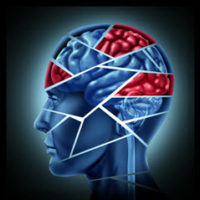 According to the Center for Disease Control and Prevention, a TBI occurs whenever there is a bump, blow, or jolt to the head that disrupts the normal function of the brain. While not every bump or blow causes a TBI, when they occur, a TBI can range from being as mild as a concussion to being so severe that it causes the injured person to lose consciousness. TBIs have been identified as a major cause of death and disability here in America as, sadly, they are at least partially responsible for around 30 percent of all injury deaths that occur in this country. In addition, understand that the potential damage is not only physical. There is a clear reason why the Lakeland man was diagnosed with PTSD concurrently with his TBI. Many sufferers of TBIs also have to deal with a compromised mental and emotional state while attempting to heal the physical damage to their body. What Are Signs of a TBI? What Occupations Have a Higher Risk of Incurring a TBI? Are You Suffering From a Workplace TBI? Workplace TBIs are serious business. We understand the challenges offered by difficult cases involving serious injuries and complex issues and can help you ensure that you obtain all the benefits you are entitled to while you focus on restoring your health. The experienced Miami workers’ compensation attorneys at Payer & Associates will help ensure that you maximize your entitlement to workers’ compensation benefits. Begin by contacting us today to schedule a free consultation.